Focusing on incremental infrastructure projects and creating an enabling environment for public-private partnerships are some of the key factors in developing post-conflict trade opportunities in emerging countries, says a new study. The study, commissioned by Dubai-based global marine terminal operator DP World, was published on the concluding day of the World Government Summit in Dubai, attended by thousands of government and business leaders. 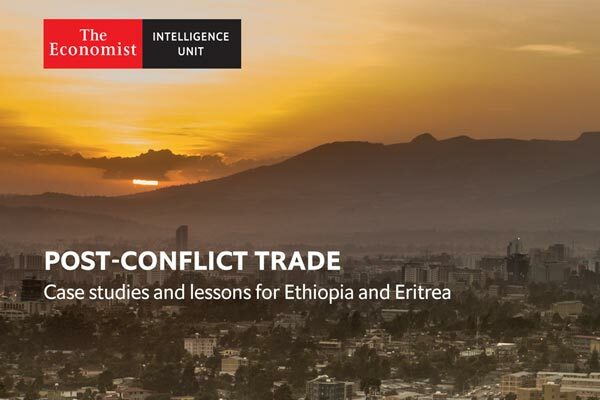 “Post-Conflict Trade: Case studies and lessons for Ethiopia and Eritrea” study was carried out by the Economist Intelligence Unit. Identifying sensible opportunities for moving up the value chain; being wary of white elephant infrastructure projects; focusing on incremental infrastructure projects and creating an enabling environment for public private partnerships to take root were key conclusions of the study. “Our experience in 40 locations around the world shows no one size fits all but we can all learn from history to plan the present and the future with our partners for the benefit of those that come after us. Africa, for example, has shown strong growth over the last 10 years with steps to diversification. If nations were better connected market sizes would increase and encourage greater foreign investment,” he said. “We also know that PPPs are an increasingly popular model to fund projects and the regulatory frameworks supporting them are improving. But good governance is key and the conditions for companies and investors must be backed by firm trust and agreement to observe international law if these agreements are to work. Failure to observe these practices results in a reputational damage to developing nations and can scare investors away from projects that are sorely needed,” he added.